The short answer is YES! Keep reading to find out our reasons why, along with some handy technical tips and style inspiration from some of our bloggers, to show you exactly how to style our fab selection, indoors and outdoors! 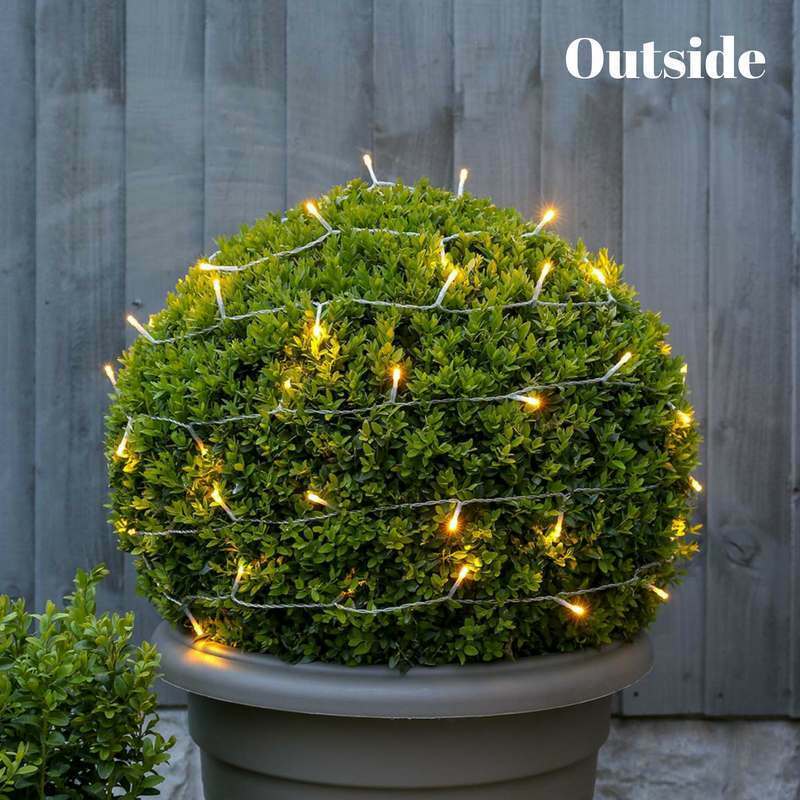 Our biggest ever selection of battery fairy lights are ideal for outdoor trees, bushes, and hedges. They’re also perfect for events, such as BBQs, birthdays, weddings and garden parties. Oh, and we almost forgot… of course you can use them indoors too! The plastic battery pack is robust, ensuring the batteries, function switch and timer survive all that the British weather (or ourselves!) can throw at them, making the range super versatile! All of our battery fairy lights are rated IP44, which means they are water resistant, splash proof and protected from any small particles in the air. This means that, as well as being great for outdoor use, they are perfect to be brought indoors and used in rooms with high moisture, such as the kitchen or bathroom, and will not allow dust ingress which could impair the lights. Simple to use, the handy timer function allows you to leave the lights switched on as and when you require. This is brilliant for two reasons; firstly, it saves you having to remember to switch your beautiful lights on/off every night and, secondly, it conserves the battery life. 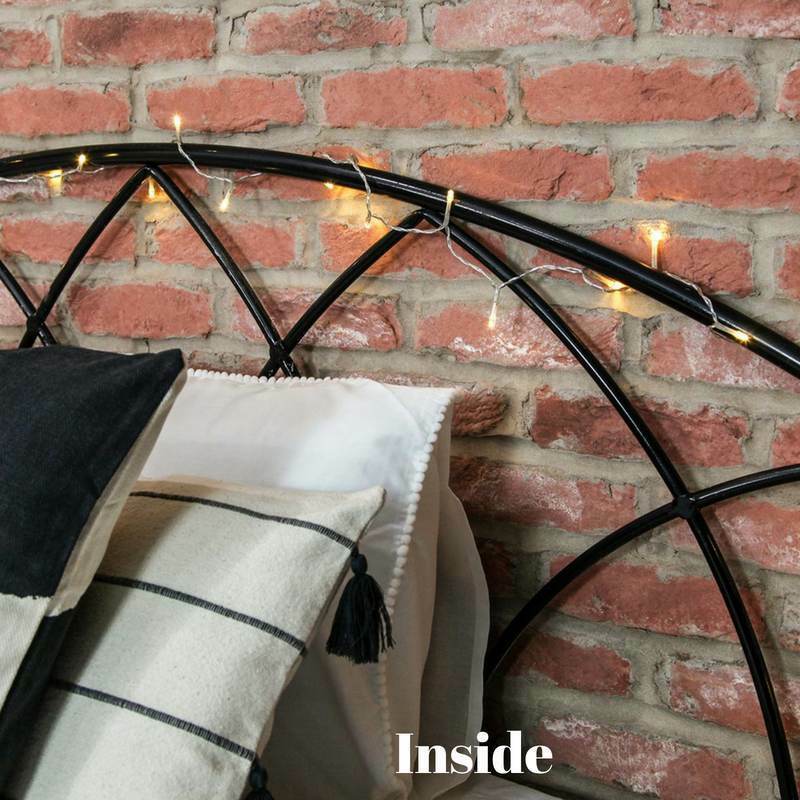 Versatile and easy to manoeuvre, these make superb bedroom fairy lights and are an ideal decoration to your university accommodation or an extra touch of sparkle to your living room. These exciting fairy lights are available in many colours, with different wire styles and bulb styles, a definite must have! Same Product: Indoor VS Outdoor – Blogger Styles! Wire Lights (above). Sharon @ Hornsby Style has used our lights above on her kitchen shelf and we absolutely love! 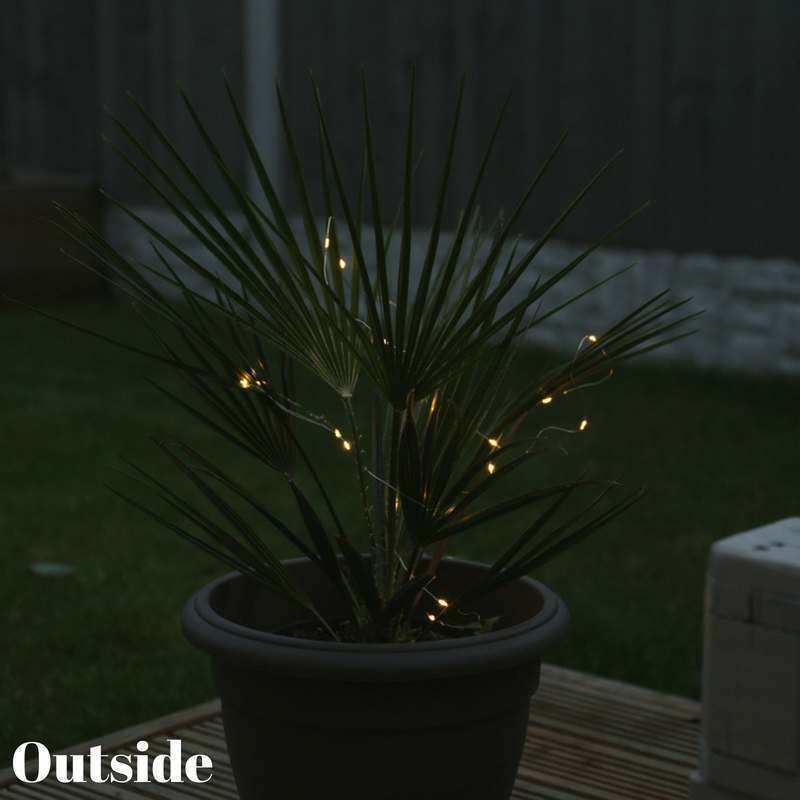 In contrast we have styled the same lights on a palm plant in the garden to add warmth and decoration on these lovely summer evenings! String Lights (above). 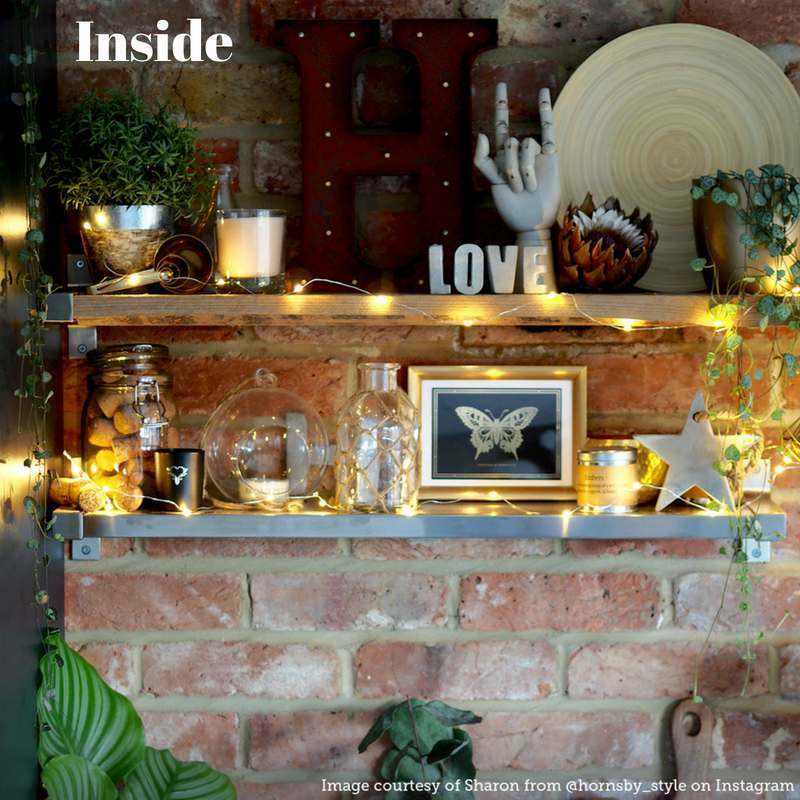 Add a decorative finishing touch to your abode with our selection of stylish string fairy lights. Perfect for all year round use, like we have used on a metal headboard or dressing up the garden for a special occasion! Got some of our awesome battery fairy lights? Don’t forget to share your images with us on Twitter or tag us on Instagram, making sure you use our hashtag #myfestivelights and we’ll share our favourites! For more home lighting inspiration find us over on Pinterest!